I’m going to talk a little, or maybe a little too much about my all-time favorite place whenever I’m in the mood of something really spicy! Think you’ve guessed by now, it’s Nandos with the amazing Peri-Peri Sauces! I think I can non-stop keep writing in about them! 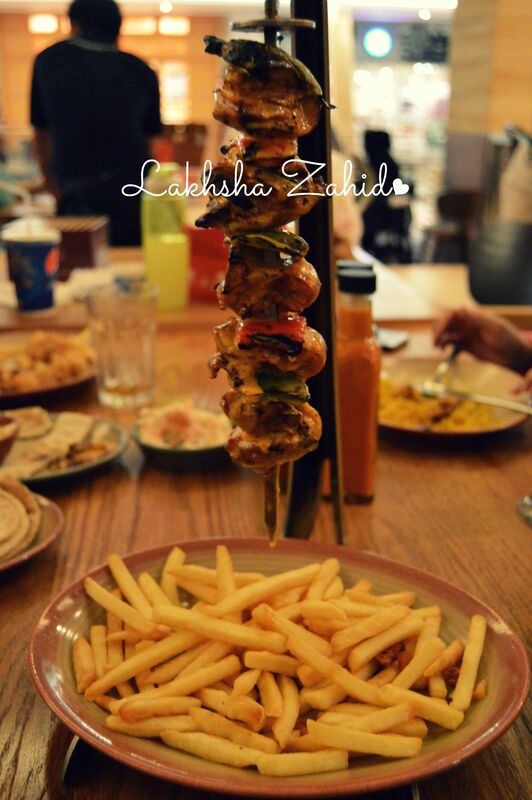 Besides their amazing food, I’ve noticed, each time I have entered Nandos, the staff is really friendly and gives a great warm welcome! Every restaurant has its own special texture of the Afro-Portuguese roots and many others also feature original South African art and unique design touches. It simply looks the best! Not one restaurant, which looks normal, its all so gorgeous! 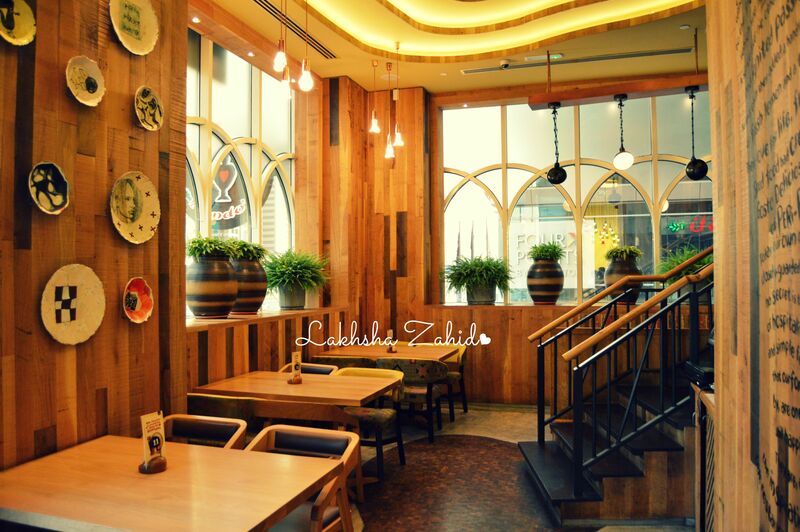 A little bit I know about Nandos, is they started off in the year 2002 along Sheikh Zayed Road, & slowly within years, they built up their restaurant branches in UAE. What’s more? They’ve got more restaurants opening up in different emirates very soon.. The restaurant mascot is a brightly colored cockerel, the national bird of Portugal. 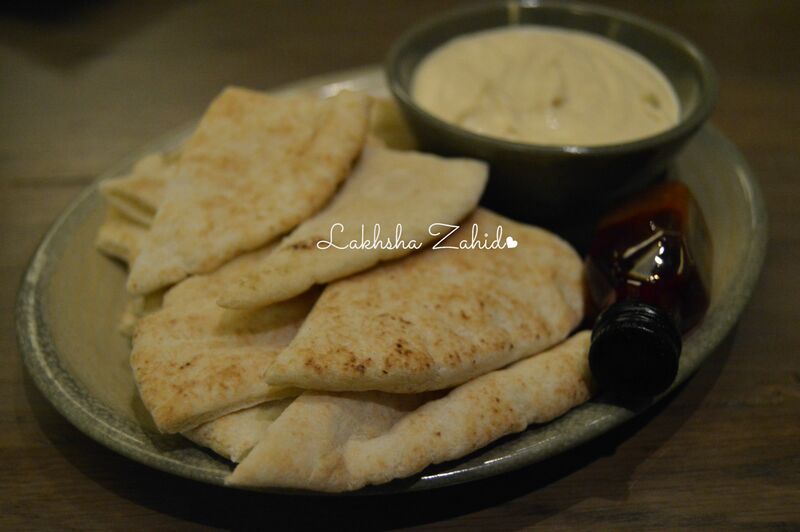 To tell you about their sauces, Well they’ve got delicious sauces, which you can have it with almost anything (I do eat dishes at home with their sauces), If you like a sauce, you can buy it for yourself, it’s available at Nandos, or all the Shopping stores across the UAE. I’m a real fan of Strips & Rice, first of all its so spicy and nice, I can’t even describe! 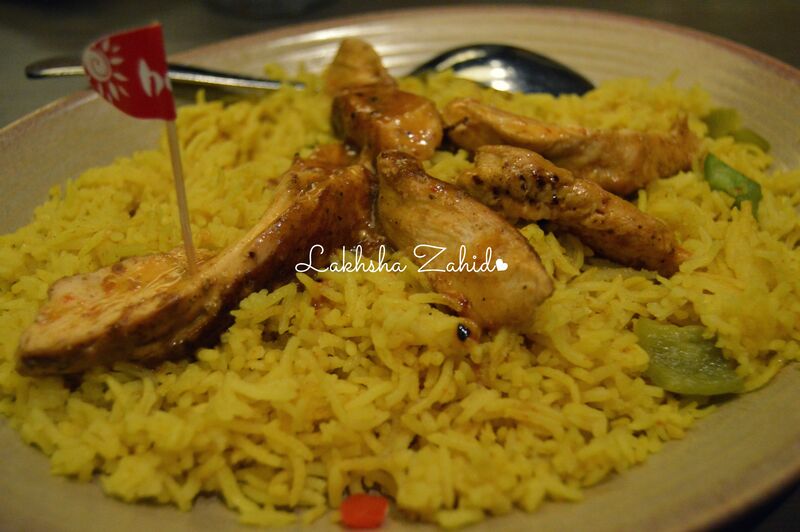 It’s normal rice with 5 Chicken pieces which are made with the PERi-PERi sauce! Make sure you do make a right option of Sauces, according to what you can really eat & if you’re a person like me who completely enjoys spice, try with Hot! You will enjoy every bite of your food. The approximate price for two people is 100-150 Dhs only! Do share your experience with me & thank you for reading! Click to follow this blog and receive notifications of new posts by email! Lots of giveaways happening right here! Enter your email address!